Made it to the lake today, first wheeled vehicle up of the season. Snow starts right where the road briefly splits in two for the steep hill climb. Lots of very difficult off-camber snow, some winching, and a steep hard pack snow hill climb took me to the flat partially snow covered meadows. 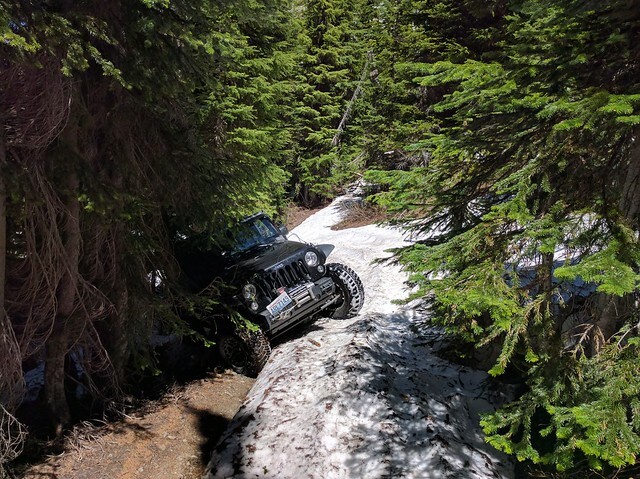 Weakly bridged snow resulted in falling into mud pits through the snowpack. Went a ways up above the lake up the trail to Hawkin's Mountain. No snow up there, only down in the valley below the lake. Give it 1-2 weeks and it should be complete snow free. Somehow I managed to play hard enough on the hill climb to rotate a tire a quarter turn within my Hutchinson beadlocks. I didn't even know that was possible, somewhat disappointing that it is! That corner in your first picture always seems to hold snow the longest. We will be up there next weekend via the 2 wheeled trails. Looking at how low your psi was, I could see that happening. On my Stazworks wheels, the centers are made for the width of the bead on the tire. Are they the same for the Hutchinsons? I was at 2-3PSI, probably a bit low for the snow conditions and throttle requirements, I generally go on the lower side for snow since it makes such a difference. I do frequently go down to 1PSI in the winter and don't have a problem, but powder snow is a very different thing. I think this was the lowest I've ever run for spring snow, I'm usually at 4PSI this season, just dropped it further for all the side hills. Hutchinson has two different insert sizes and suggests one based on the tire brand/model. Having only two inserts, some tires are sure to be looser than others. Here are a few pics for comparison. Awesome photos! Hoping to visit this place someday. How is the snowpack this year? 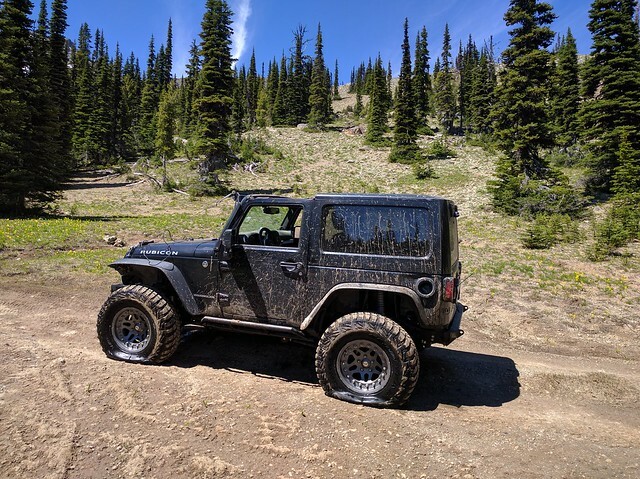 Deep and great, was doing a fair bit of wheeling on the early spring snow pack 2-4 weeks ago and had some really fantastic days (although I haven't had a good day in the sun yet!). Specifically up around Gallaher Head, not sure. 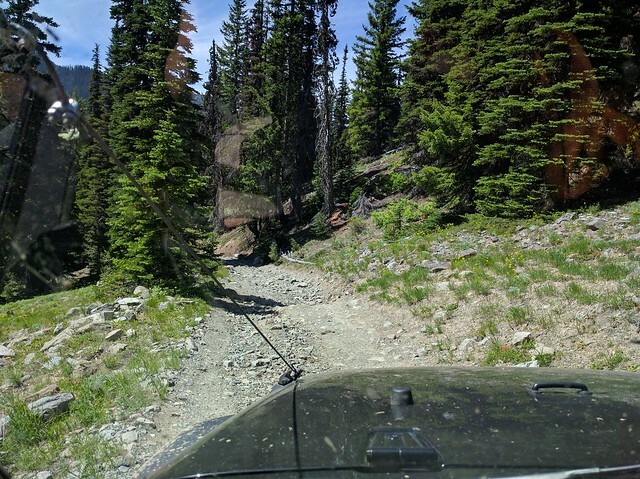 I didn't get over there early this year to get on the groomer and have fun down low, and the 4W trails up to the lake and Van Epps Pass are closed to motor vehicles Apr 1 - June 15. 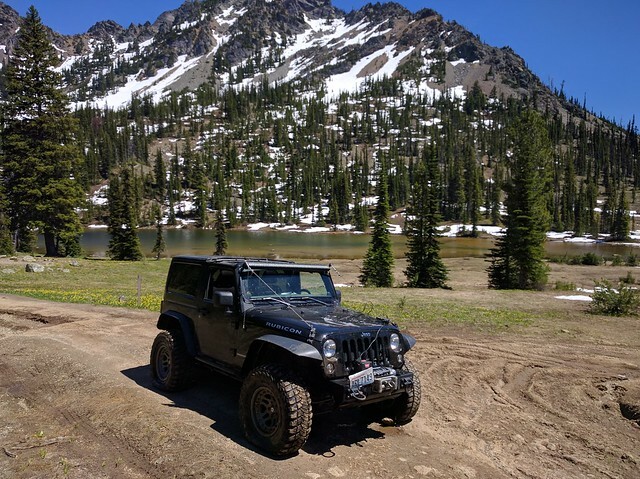 Headed off to Moab this weekend so getting close to the end of snow season for me but I'll get in another day or two of high elevation snow days I'm sure. Also explored the West Fork Drainage where the fire went through last summer/fall.